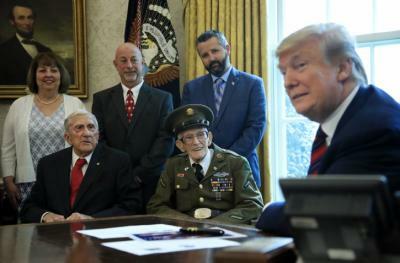 Washington - President Donald Trump treated four World War II veterans to an Oval Office meeting Thursday, fulfilling a birthday wish for 95-year-old Allen Jones and giving three other veterans age 100 and older a day to remember. 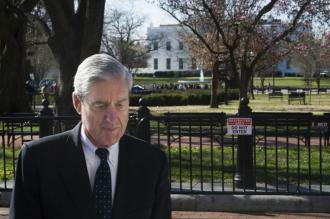 Trump had met Jones at a Veterans of Foreign Wars convention last year and Jones asked to spend his birthday with the president. Trump looked happy to oblige, joking with the men and their families, and asking each one to say a few words.